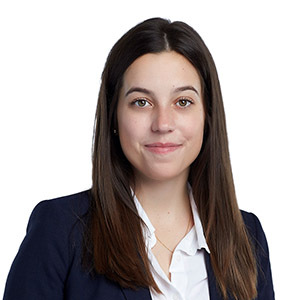 Emma is an associate in Gowling WLG's Ottawa office, working in the Business Law Group. She earned her law degree at Osgoode Hall Law School. In addition to her studies, Emma volunteered as a caseworker at Osgoode's Community & Legal Aid Services Programme, and Neighbourhood Legal Services, a legal aid clinic in downtown Toronto. Emma also served as deputy director of the International Legal partnership, coordinating and overseeing summer fellowship opportunities for law students at non-governmental organizations around the world. Prior to attending law school, Emma completed her undergraduate degree at McGill University, where she studied sociology, economics, and management. Emma was also a recipient of the Kenneth Gibson Morden Memorial Prize in Evidence (highest grade in the subject of Evidence).